FRONTLINE's Martin Smith reports from Lebanon during Hezbollah's annual "Liberation and Resistance Day" celebration. Just last week, the U.S. intelligence community’s annual global threats report named the proxy battles playing out across the Middle East between Iran and Saudi Arabia as an “immediate” threat to the stability of the region. 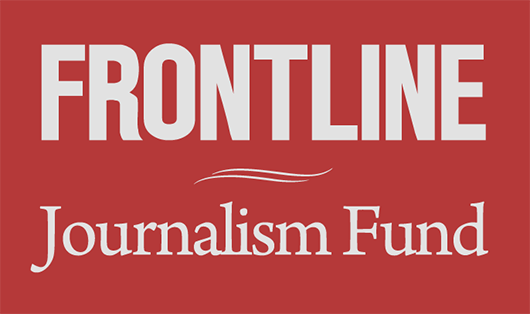 Over the past two years, a team at FRONTLINE has been crisscrossing the Middle East, working on a documentary series on that very rivalry — both its historical roots, and its devastating contemporary fallout in Yemen, Syria and Iraq. The resulting series, Bitter Rivals: Iran and Saudi Arabia, begins Tuesday, Feb. 20, 2018 on PBS and continues on Tuesday, Feb. 27. A team effort from Fanning, veteran FRONTLINE correspondent and producer Martin Smith, and FRONTLINE producer Linda Hirsch, Bitter Rivals is a deeply-reported journey across one of the world’s most war-torn regions. The series was originally conceived, Fanning says, as an exploration of sectarianism in the Middle East, tracing how an ancient battle between the Sunni and Shia branches of Islam evolved, and how those differences sparked prejudice and occasional violence over the years. But it became clear that the real story was far more complex and contemporary — rooted in a nearly 40-year political rivalry between Iran and Saudi Arabia that has fueled sectarian extremism for political gain, with virtually every step the U.S. has taken along the way only inflaming the conflict. Bitter Rivals features on-the-ground reporting from seven countries: Iran, Saudi Arabia, Pakistan, Iraq, Lebanon, Syria and Yemen, where Smith and his team captured stunning scenes of destruction from the proxy war between the U.S.-backed Saudi coalition and the Houthis, an Iranian-allied rebel force based in the north of Yemen. Even for Smith, who has been covering the Middle East for FRONTLINE for 20 years, the degree of civilian suffering on the ground in Yemen, Iraq and Syria was staggering. Fanning reported from Pakistan and from Lebanon, where he gained access to Iranian-backed Hezbollah, and was also part of the team that went into Iran. But in the other countries, there were just three people on the ground: Smith, field producer Sara Obeidat, who grew up in Jordan and speaks Arabic; and cameraman Scott Anger, who has covered the Middle East with Smith for years. Working with independent fixers in some countries, and government fixers in others, the team secured scores of interviews with key political, religious and military players across the region — from the foreign ministers of both Saudi Arabia and Iran, who each accuse the other country of exporting extremism; to the leader of one of the most powerful Shia militias in Iraq today, who admits to having received Iranian support; to the man who pulled the lever at Saddam Hussein’s execution — an event that became a dramatic flash point in the sectarian war that consumed Iraq. What emerged is something rare for U.S. television in its scope and complexity: A comprehensive look at how, ever since the Iranian revolution in 1979 and Saudi Arabia’s counter-reaction, the two countries have each tried to extend their influence beyond their own borders. The story of what’s happening in Yemen, Fanning says, is “absolutely essential to be telling.” Years of bombings and a humanitarian crisis have been amplified by a historic cholera epidemic, and few foreign journalists have been allowed in to report. But Bitter Rivals captures rare and harrowing scenes that bring the devastation home — including a conversation with a man who says 26 members of his family were killed when the Saudi coalition used American-made weapons to bomb a funeral, and a heart-wrenching journey inside a hospital where severely malnourished children are dying. “I just looked at all this, and wondered how this gets put back together,” Smith says of the suffering he saw on the ground in Yemen, Syria and Iraq. 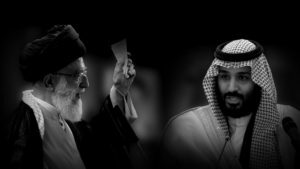 And it’s that suffering, the team says, that shows who’s losing in Iran and Saudi Arabia’s feud: The countless civilians across the Middle East caught in deadly proxy conflicts between the two rivals — conflicts that show no signs of abating. Bitter Rivals begins Tuesday, Feb. 20, 2018 on PBS and continues Tuesday, Feb. 27, 2018.